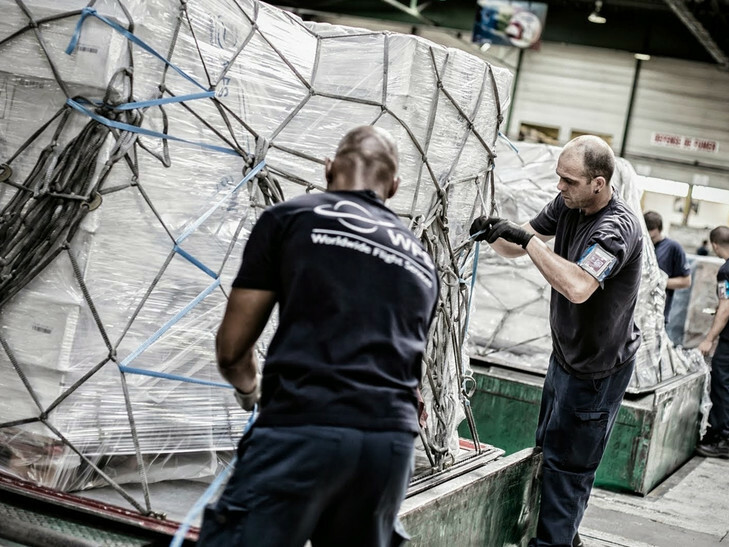 AirBridgeCargo Airlines (ABC) has selected Worldwide Flight Services (WFS) as its ground handler at Liege Airport. The appointment comes as ABC prepares for the first-phase opening of its dedicated cargo area at the fast-growing Belgian freighter hub. The cooperation is in support of the strategic partnership signed between ABC’s parent company, Russia’s Volga-Dnepr Group, and Liege airport to “significantly increase” cooperation between the two companies. That strategic alliance will boost ABC’s volumes to and from the Belgian airport and place Liege among the top five cargo airports in Europe by 2020. Construction work on the new Liege warehouse will be divided into two phases, for completion by the end of 2019 and mid-2020. Andrey Andreev, ABC’s vice president Europe, said: “Our close collaboration will facilitate the seamless and rapid building of the first 12,500 sq m of warehousing premises, which will be operational in November 2019. Luc Partoune, chief executive of Liege Airport, said: “From the start of our cooperation, AirBridgeCargo and Liege Airport have been a perfect match and WFS is now a welcome addition. We all share the same Cargo DNA. Barry Nassberg, group chief commercial officer of WFS, commented: “We are extremely proud to be partnering with AirBridgeCargo and Liege Airport in this very exciting development, and to be expanding our long-time global relationship with ABC.